and Beauty Therapists at The Bodhi Tree in Auckland are specialists at looking after your body and mind. With so many people leading a hectic and stressful lifestyle in Auckland, it is good to be able to find a sanctuary that will take care of you and ease those tired and sore muscles. The Traditional Thai Massage and Beauty Therapists at The Bodhi Tree in Auckland are specialists at looking after your body and mind. The art of Thai Massage is associated with helping the body regain and ensure on-going good health. Its curative powers have been proven since ancient times dating back to AD800, where the therapist applies pressure with their palms or feet along the energy lines and acupressure points. So if you are looking for a Thai Massage in Auckland, come and visit The Bodhi Tree. Thai beauty and health secrets will unfold with natural, exotic and rare preparations along with carefully selected massage oils that have been chosen especially to aid relaxation, healing and skin rejuvenation. The Bodhi Tree in Epsom provides the best Thai massage Auckland. Our masseurs are all fully trained in Thailand and each has over twelve years’ experience. As well as Traditional Thai massage there are a number of other treatments that our massage therapists offer include hot stone massages, aromatherapy massages, deep tissue sports massages, foot reflexology massages, neck, shoulder, back and head massages. Most massages are designed to help people relax, unwind and de-stress. A massage by a skilled Massage Therapist will offer an experience that will combine the mind, body, soul, emotions and spirit to offer a truly unique experience. 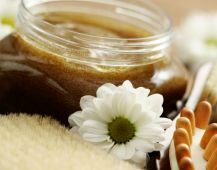 If you are looking for a real pampering session don’t go past our Body Treatments which include 2 fantastic body scrub options that will exfoliate your skin and leave it rehydrated, nourished and beautifully smooth. These treatments also include an Aromatherapy Oil Massage to leave you feeling calm and relaxed and ready to take on the world again. Manicures and Pedicures don’t have to be done at the busy shopping centre where you queue up to be attended to! Take a different more relaxed, personal approach and book an appointment to come and see The Bodhi Tree. We will look after your nails with great care and attention and you can be assured you will be in a warm, relaxing environment that will give you great results. Whether it is summer or winter we all need to attend to hair growth. We have a dedicated therapist who looks after waxing at The Bodhi Tree to ensure we continually give the best possible hygienic, effective and discrete service possible. For a Thai Massage in Auckland visit the massage therapists at The Bodhi Tree, Epsom, Auckland. The Bodhi Tree is proud to be able to help the children of Thailand through charitable donations to "Hands Across the Water" Charity.